We are playing Rain Fest '08. Go HERE or HERE for the details. We are playing near the end on day three (Sunday). Email us if you want to come in the van. 1) We are (still) writing a new record. 2) We are playing Rain Fest up in Seattle on the last day (Sunday). 3) We are setting up some other shows as well. 4) We did a radio interview a few weeks ago with KSPC. 5) We are working with All Systems Go! in Sweden. Stay tuned as we work out the kinks of the new site. Soon you will be able to download our (out of print) demo and S/T EP. For now, everything we've done is streamed over there to the right. We will also have a way for you to order some merch up soon. 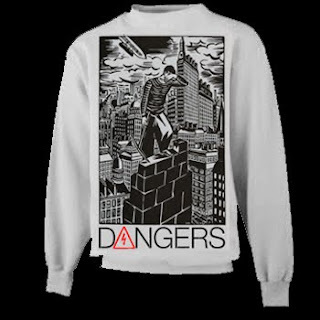 We have some cool upside down cross longsleeves that are perfect for the lingering winter chill.